Home Food Old & Authentic Taste Yong Tau Fu: OLD SCHOOL Yong Tau Fu! I’m sure most of you have heard your Grandparents, or Parents complain about how the food tasted better back in the “good old days”. Or maybe you are someone with an old soul, and have a craving for the classics. 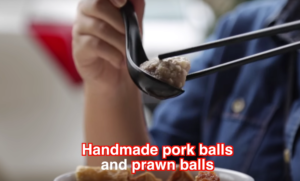 Ah Heng, the Chef for Old & Authentic Taste, has a solution, and it is not time travel. It comes in a bowl of Yong Tau Fu! Grab your Grandparents and take them on a trip down memory lane for some old school food. Ah Heng makes his signature Yong Tau Fu the old school way. The pork balls, and prawn balls are both hand made as they are served in a mouth watering bowl of their special broth. 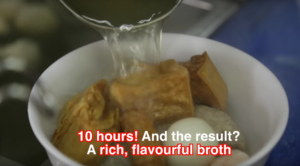 This special broth is boiled for 10 hours from a base of pork leg bones, chicken bones and anchovies. The result? A rich flavourful broth that is sure to take you back to the good old days. Next articleLush Garden Walls, INDOORS!